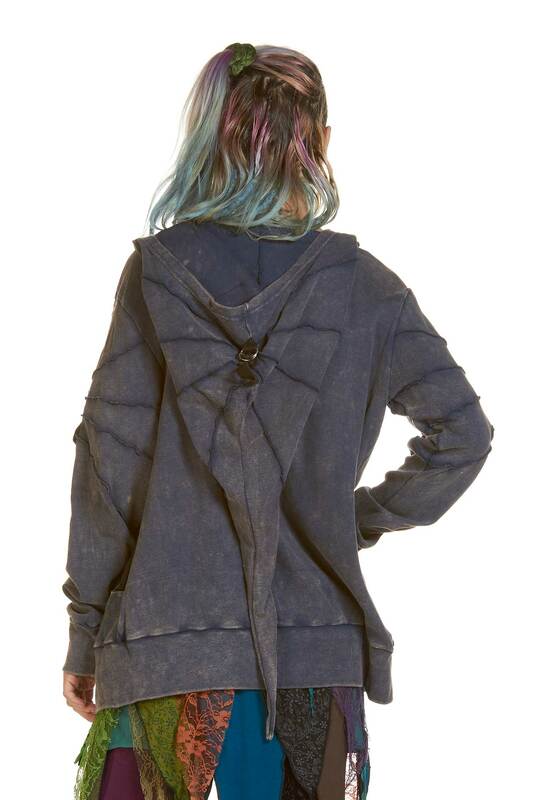 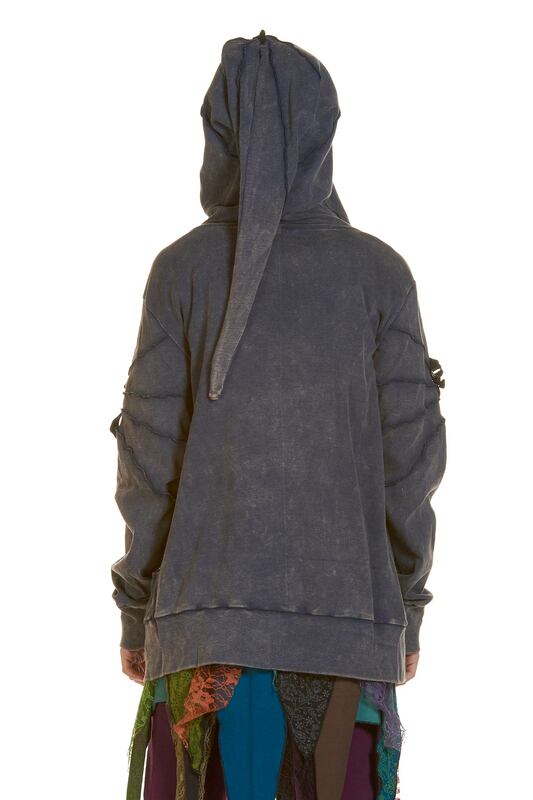 A funky pixie hooded jacket top from Anki Design in Germany. 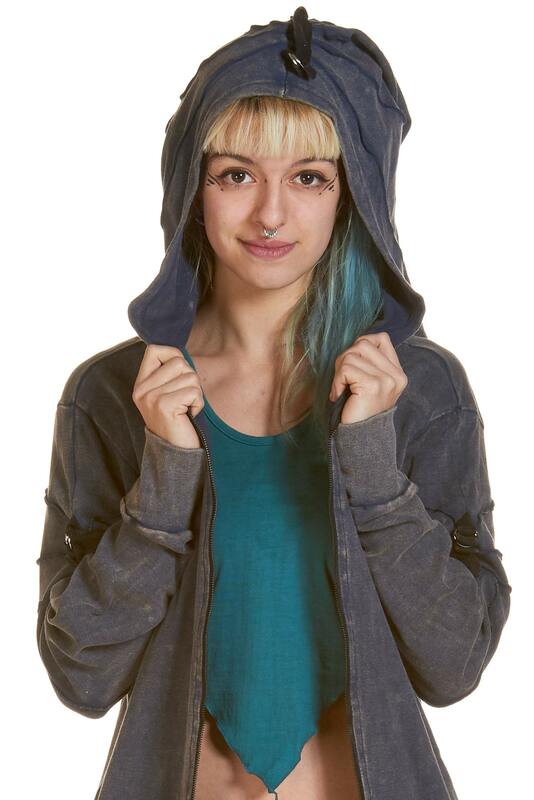 Features an overlock design on the hood and sleeves with a buckle to adjust how it is styled. 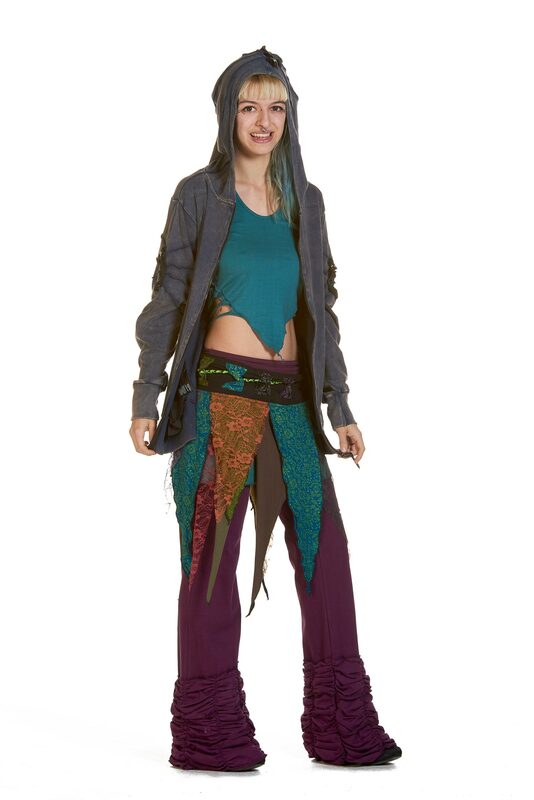 Great for festival pixies and elves everywhere!